tristan schuurman junior youth teaching project | doberman pizza. 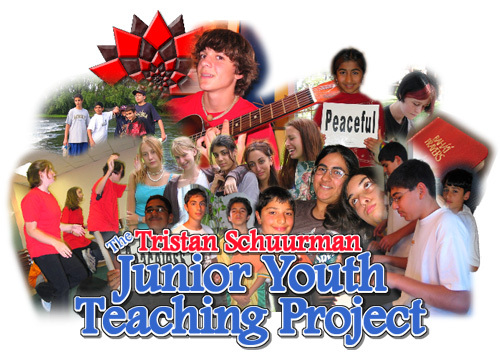 The Tristan Schuurman Junior Youth Teaching Project took place from the 13th to the 15th of August, 2004, in the city of Ottawa. The project was the first of its kind in Ottawa, held in response to the guidance of the National Spiritual Assembly of the Bahá’ís of Canada, which set the spiritual upliftment of junior youth (ie. youth aged approximately 12-15 years old) as a priority for the year. 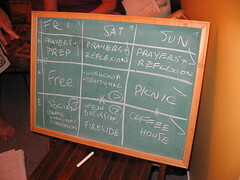 The project’s activities took place primarily in the Vanier–Overbrook area, a focus area for the Ottawa Bahá’í community. Highlights included presentations by Chelsea-based Oneworld Dance Workshop and Montreal-based Soulstorm Dance Workshop; a lively youth fireside discussion, which attracted several seekers; and a coffee house which gathered almost 50 youth and junior youth on the project’s final night. The project was deemed a success, having kindled the interest of several junior youth in the Faith, and, among other things, inciting them to join junior youth-focused study circles. Tristan Schuurman, the namesake of the project, was born, physically and mentally handicapped, to a Bahá’í family in Canada’s Maritime provinces. Though he lived only seventeen years, he touched those who knew him with his joy, devotion and faith. His life was the subject of a biography by his mother, Suzanne Schuurman.